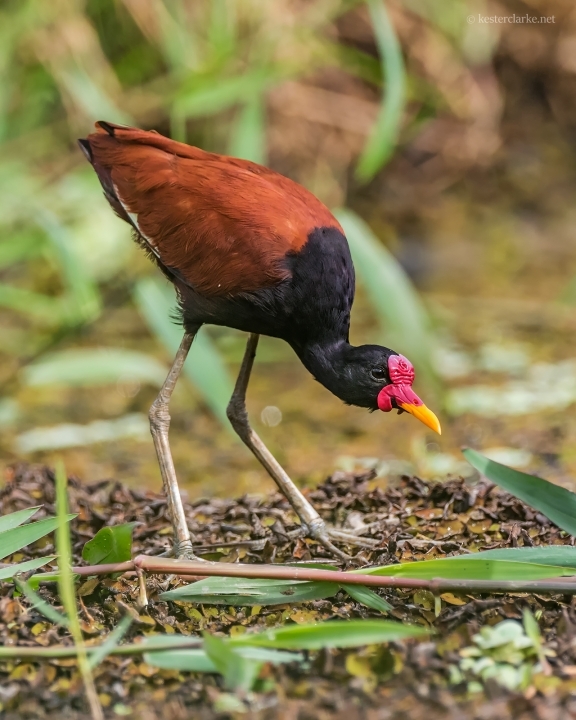 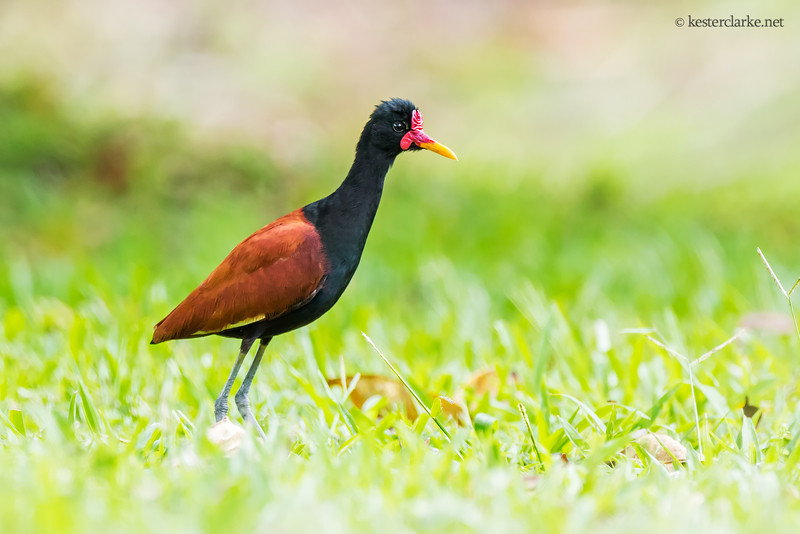 Wattled Jacana (Jacana jacana) foraging in the Botanical Gardens, Georgetown, Guyana. 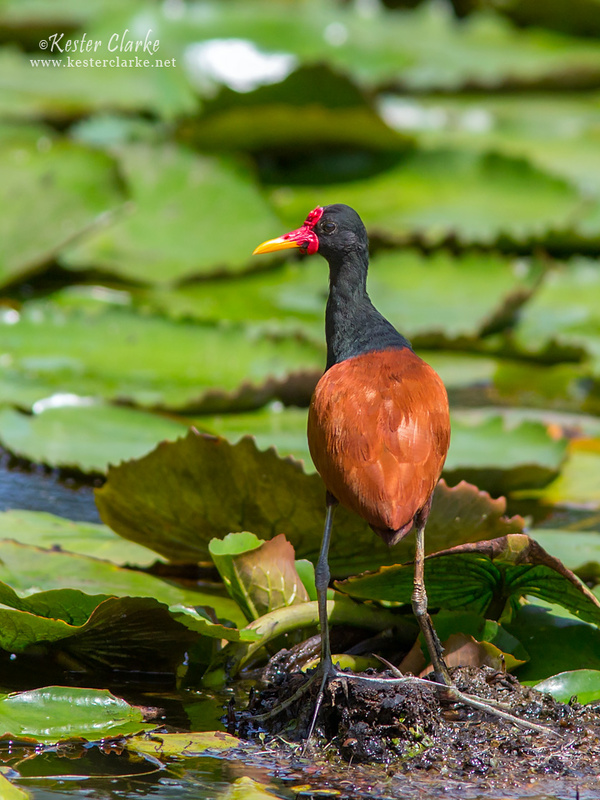 Wattled Jacana (Jacana jacana) in Clonbrook, East Coast. 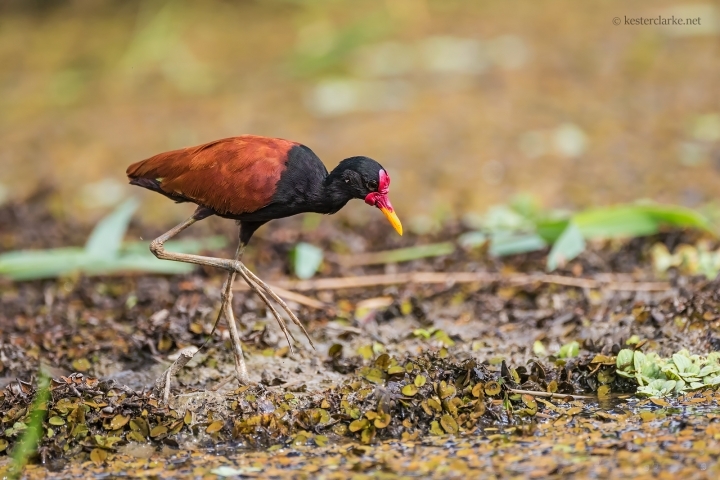 Also called the 'Jesus Bird', because they appear to walk on water.